Archie Goodwinhas troubles too. Nero Wolfe , for instance. 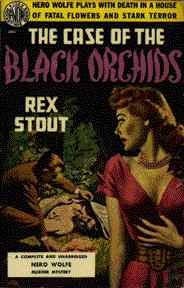 Like the day my horticulturist boss discovered there were only three black orchids in the world — and they belonged to someone else!Picture Nero Wolfe Maddened by lust — fatso would do anything to get those orchids. All yours truly had to do was sweep up the bodies. 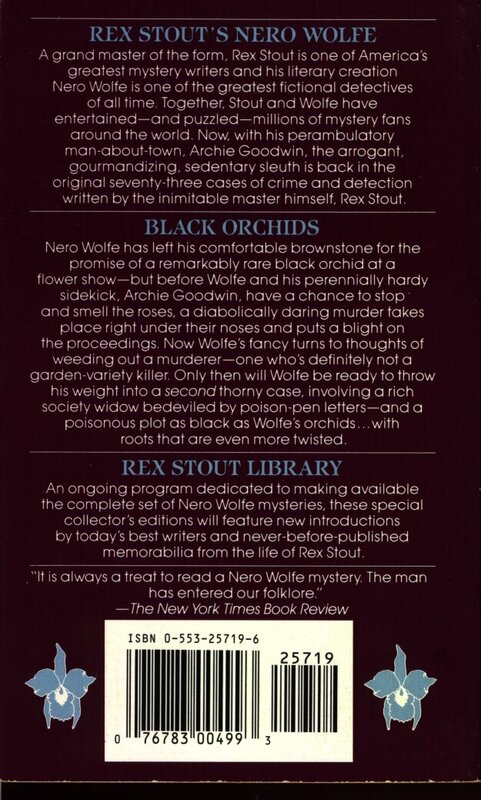 Nero Wolfe is determined to have his heart’s desire. To get it he conceals evidence … hides witnesses… leads police on a wild-goose chase … and locks himself in a lethal gas chamber with a killer’s hand on the valve! The reader is also CORDIALLY INVITED TO MEET DEATH as Archie Goodwin trips over an alligator and lands in the middle of murder. 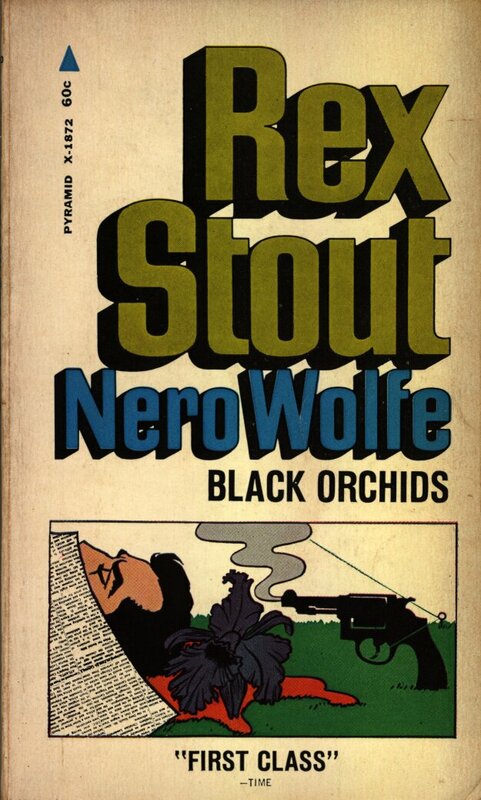 ARCHIE GOODWIN HAS TROUBLES TOOLike the day that Nero Wolfe, whose passion was horticulture, discovered that there were only three black orchids in the world-and they belonged to someone else! 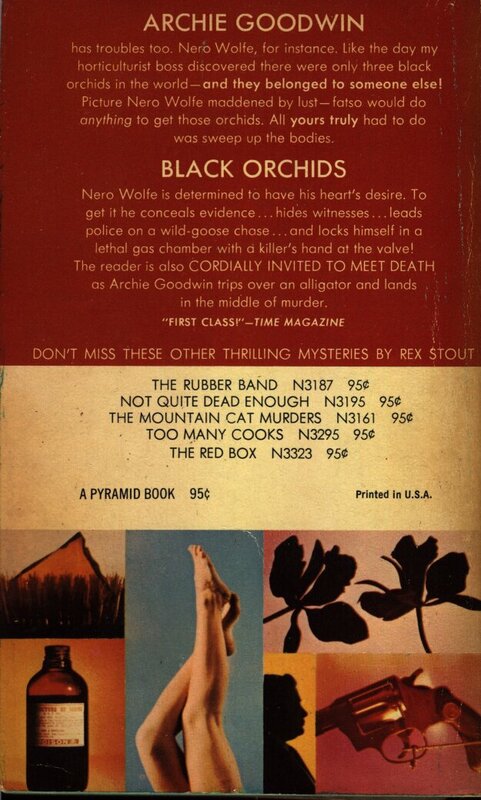 Nero Wolfe would do anything to get those orchids. All Archie had to do was sweep up the bodies. Wolfe is determined to have his heart’s desire. To get it he conceals evidence… hides witnesses.. . leads police on a wild-goose chase… and locks himself in a lethal gas chamber with a killer’s hand at the valve! 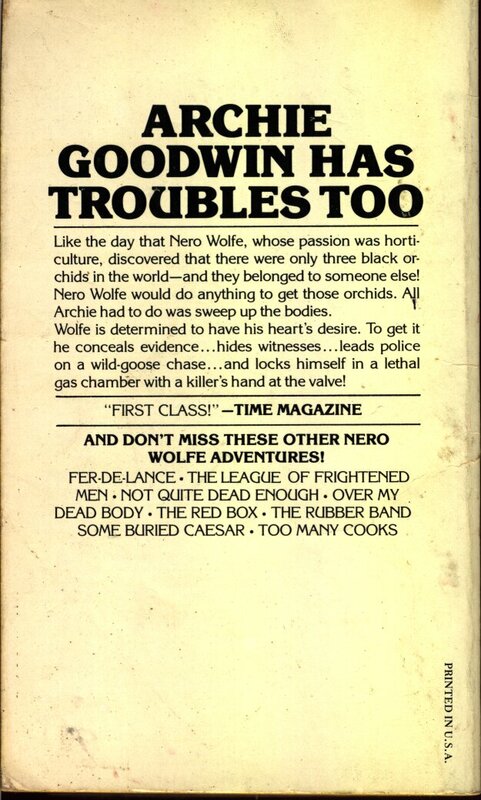 “FIRST CLASS!” -TIME MAGAZINE – AND DON’T MISS THESE OTHER NERO WOLFE ADVENTURES! published in the late 40’s or early 50’s. 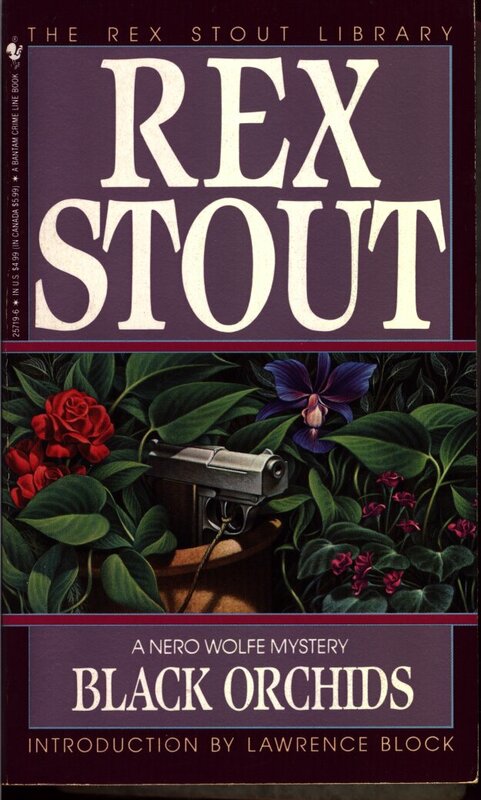 Nero Wolfe has left his comfortable brownstone for the promise of a remarkably black orchid at a flower show — but before Wolfe and his perennially hardy sidekick, Archie Goodwin, have a chance to stop and smell the roses, a diabolically daring murder takes place right under their noses and puts a blight on the proceedings. 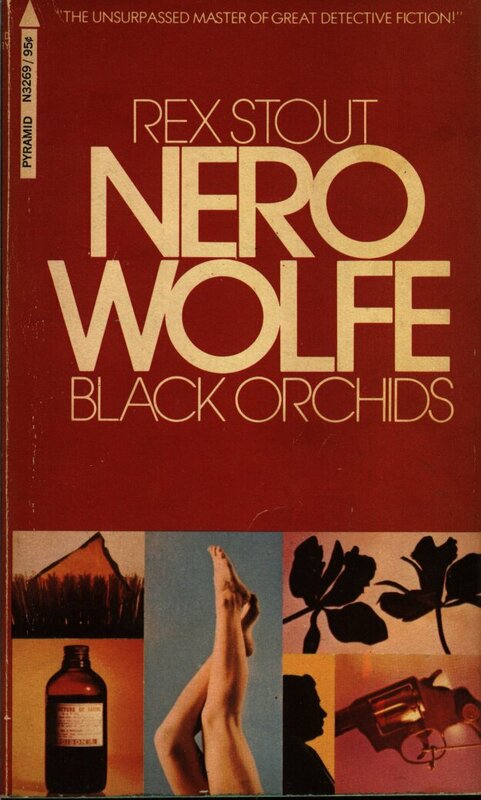 Now Wolfe’s fancy turns to thoughts of weeding out a murderer — one who’s definitely not a garden-variety killer. Only then will Wolfe be ready to throw his weight into a second thorny case, involving a rich society widow bedeviled by poison-pen letters — and a poisonous plot as black as Wolfe’s orchids… with roots that are even more twisted. 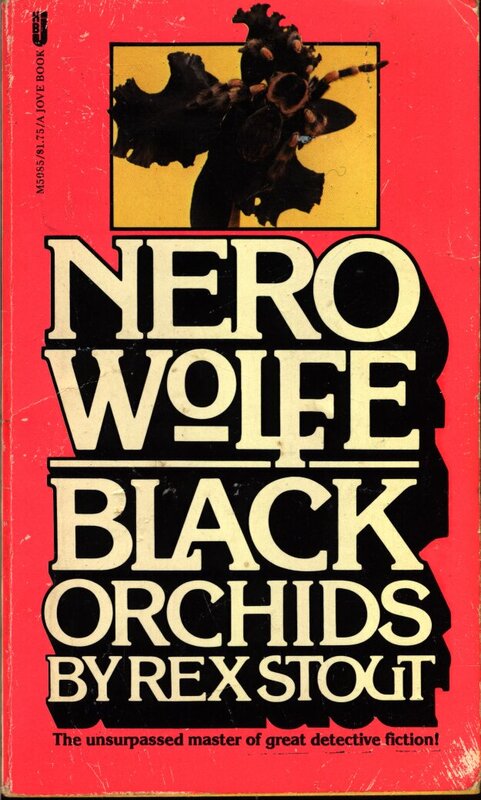 There were only three black orchids in the world — and they belonged to someone else. 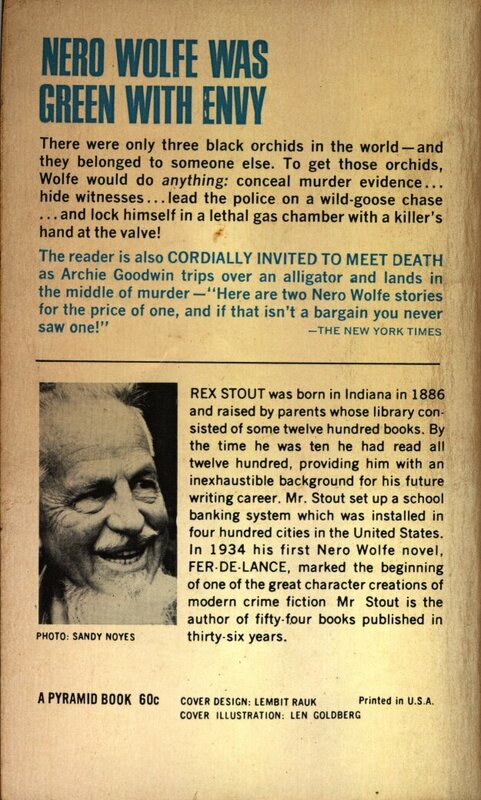 To get those orchids, Wolfe would do anything: conceal murder evidence… hide witnesses… lead the police on a wild-goose chase… and lock himself in a lethal gas chamber with a killer’s hand on the valve!